I love going to a restaurant playing Sherlock Holmes moves. A form of a secret detective moves that you need to act like no one seeing you around, a bit of a spy or something eccentric. Though I don't bring my magnifying glass just with my super buddy S3 mobile the quest goes on. Determine to give a time out from the perpetual flow of eating burgers and fried chicken, choosing for a prompt and cheap lunch I stopped up here located at the Ground floor of Victoria Plaza near the fast food area. For me, I consider Victoria Plaza a historic place. Why? This is the first biggest mall here in Davao City. And having Chowking inside the mall I give a 4 stars because for the location you really can't complain. The food chain is well ventilated with a good flow of air and light, more spacious, and uncluttered. Upon ordering, it demands me some time to think what to order considering that my only favorite in Chowking is their chopsuey rice. That day, they don't serve chopsuey rice, hence I have to chose other varieties of food they serve. I choose GOLDEN CHINESE PORK CHOP with rice and drink. While waiting for my order, I had the chance to observe the crew. I am very overwhelmed seeing their Branch Manager cleaning the tables and sweeping floor and at the same time accessing their customers to their orders, he even visited them table to table. Where is his service crew that's supposed to be doing what he's doing? Hmmm...Are they lacking of men? Or is this another customer service strategy? That they're all inside the counter area. I call the attention of one of their service crew and ask for water (you've seen in my photo here) but he never gives me. He just walked away and do something(acting busy). I feel disconcerted, because normally they always answer costumers needs. However, the manager heard my call and hurriedly take a glass of water and handed it to me. 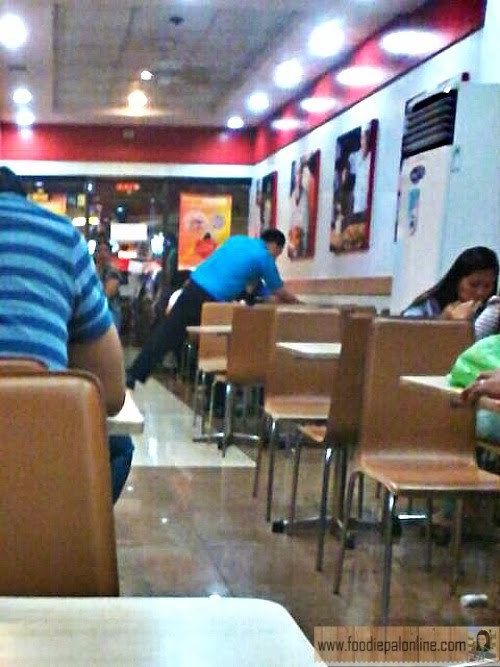 The Chowking Manager, the one holding a pitcher. 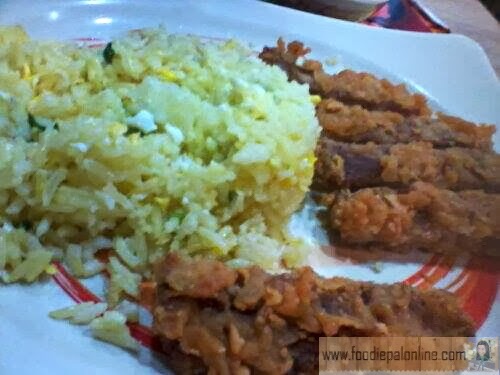 The Chowking Golden Chinese Pork Chop Rice is the best dish I've ever tasted. The meat of the pork is so golden crispy, tender and juicy. You don't need seasoning because the pork is flavored satisfied. Their egg fried rice taste so yummy too, it is taste better compared to their Yang Chow. For me the price is justified, so I gave 5 stars. 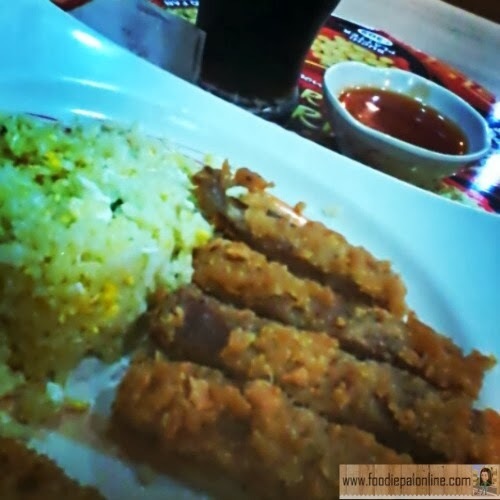 PHp85 with drinks and food that is so satisfying is indeed a good choice when you visit Chowking. VERDICT: It is very difficult to manage huge restaurant or food chain if you don't cognize how to handle it starting will your subordinates. The store will depend on your performances, it will reflect your operation. Whatever their strategy, I hope it's all for the best. Because for me, a correct gesture of passing on a GOOD SERVICE is a GREAT SATISFACTION for the customers/clients. Tendency, they will get back to your store because of the good service you've provided + the GOOD QUALITY of your food if you are in a FOOD CHAIN Business. And regarding the pork chop, my only complain is too much saturation of fats and wishing for a meatier pork chop. So there you go my detective moves a.k.a Sherlock Holmes moves. I really have a nice experience doing this, because of this you can see how prepare or unprepared people inside a restaurant doing their job without knowing that somebody is secretly observing them. 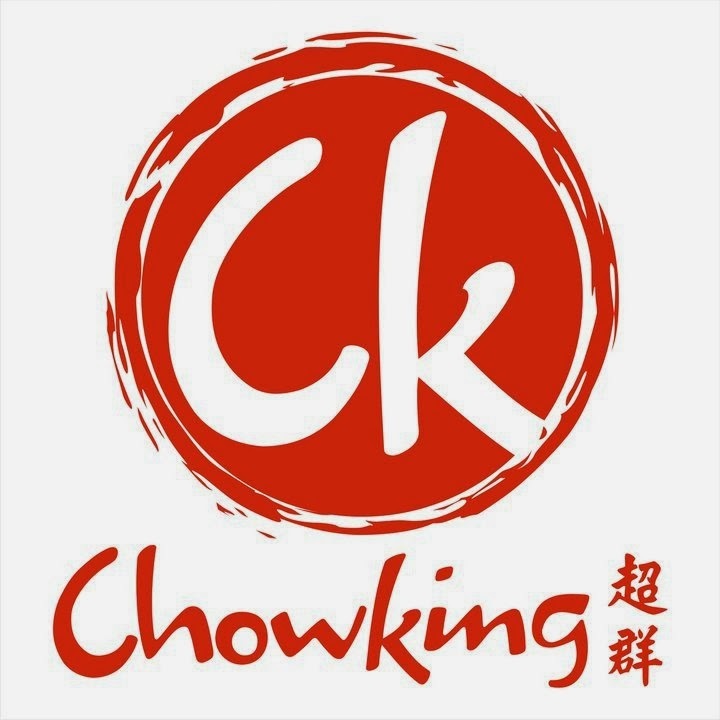 Go visit CHOWKING now and be a judge. My kids and I love Chowking. Chinese food is our favorite so we frequent different branches. Glad to read that your visit was not so bad at all. I like Chowking too, for Beef noodles and Siopao. ; also, the Chinese Pork chop rice. Your observation fits to their overall image. I have a good memory with Chowking Victoria Plaza. My late father prefers to go to this branch and we had countless lunch and dinner. So nostalgic. 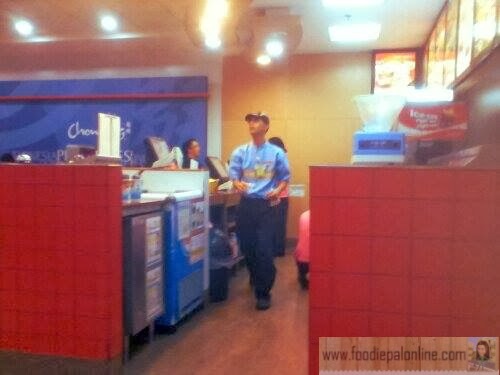 I always eat at Chowking if ever I'm in search of good fastfood. Very detailed review of that particular branch. 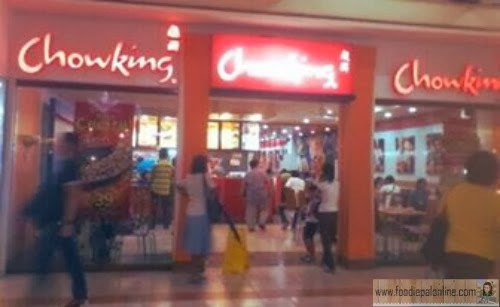 I have fixed meals I order at chowking ang it's usually their sweet and sour pork meal and halo halo. Chowking is one of my favorite fast food restaurants because price, food quality and the service are always great in every encounter. Their pork chop should improve though like you mentioned. Chowking is the place to go for me whenever I need some hot soup to energize. I love to fill my bowl with a lot of chili sauce and it's a great day or time for me head. Too bad I was not able to dine there, the last time I went to Davao in September last year. Kudos to the manager for helping the customers (which supposed to be the service crews work). Yes, me too, liked this Golden Pork Chop with rice and drink. Very cheap but delicious. Detective PAL is on a mission huh! 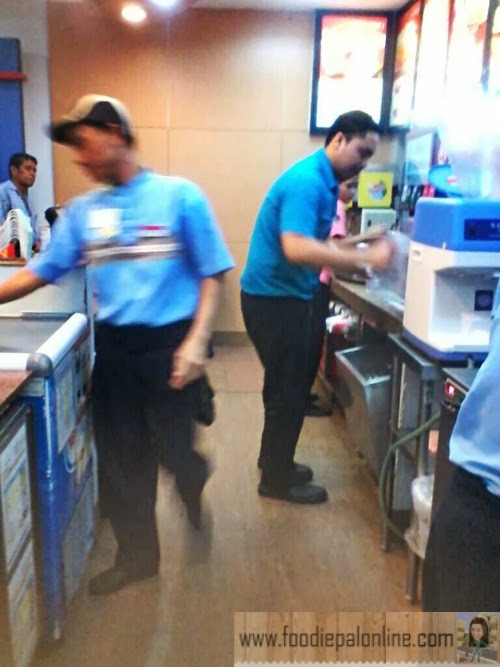 I had experienced working in a fast food and I have to say, I was one of the pioneers in that branch. FSC is very important:Food, Service and Cleanliness but unfortunately, I can hardly see the 3 criteria best-served nowadays. I don't like Chowking's Golden Chinese Pork Chop. Maybe because the one I've tried was so oily.